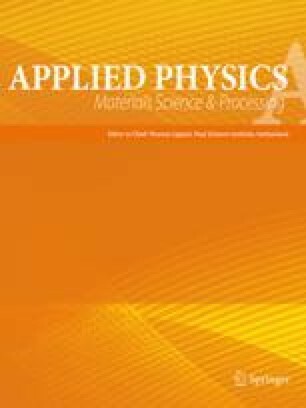 Thickness-dependent index non-linearity in thin films has been a thought provoking as well as intriguing topic in the field of optical coatings. The characterization and analysis of such inhomogeneous index profiles pose several degrees of challenges to thin-film researchers depending upon the availability of relevant experimental and process-monitoring-related information. In the present work, a variety of novel experimental non-linear index profiles have been observed in thin films of MgOAl2O3ZrO2 ternary composites in solid solution under various electron-beam deposition parameters. Analysis and derivation of these non-linear spectral index profiles have been carried out by an inverse-synthesis approach using a real-time optical monitoring signal and post-deposition transmittance and reflection spectra. Most of the non-linear index functions are observed to fit polynomial equations of order seven or eight very well. In this paper, the application of such a non-linear index function has also been demonstrated in designing electric-field-optimized high-damage-threshold multilayer coatings such as normal- and oblique-incidence edge filters and a broadband beam splitter for p-polarized light. Such designs can also advantageously maintain the microstructural stability of the multilayer structure due to the low stress factor of the non-linear ternary composite layers.